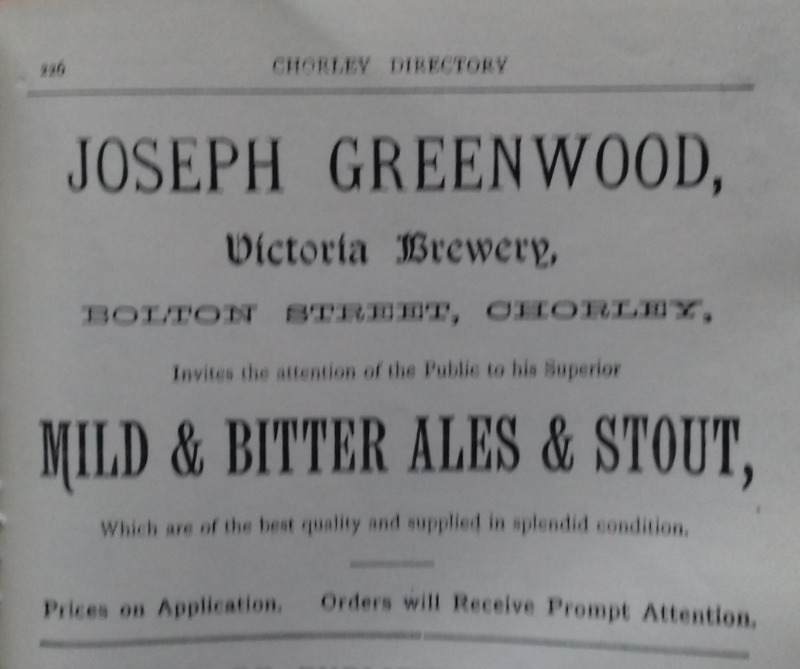 The brewery was located in the backyard of the Albion pub in Bolton Street and was run by a Joseph Greenwood in the 1880's who was also the landlord of the King's Arms,a few doors up the road. 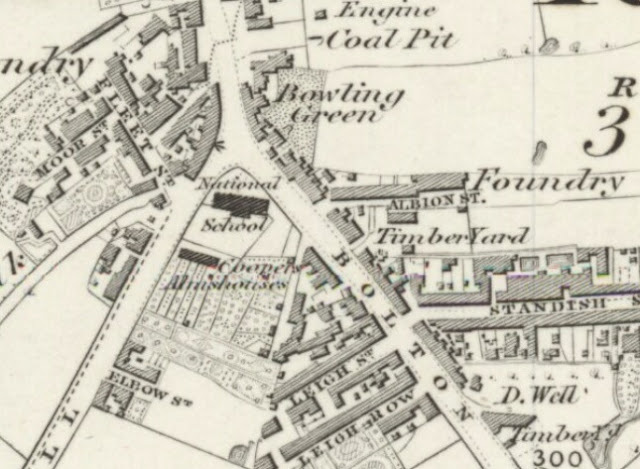 The buildings date back much further and it seems likely that there was a brewery at that location from earlier in the 1800s as directory records show the presence of a brewery on Bolton Street as early as 1835. 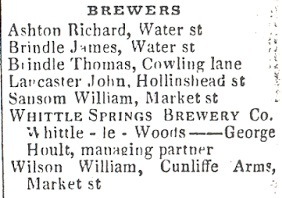 There is no record of any name for the brewery but following William Smith's departure the brewery appears to have been run by the landlords of the Cunliffe Arms Hotel; William Wilson from sometime in the 1840s; Henry Croston when he took over in the late 1860s and then Edward France during the 1870s. 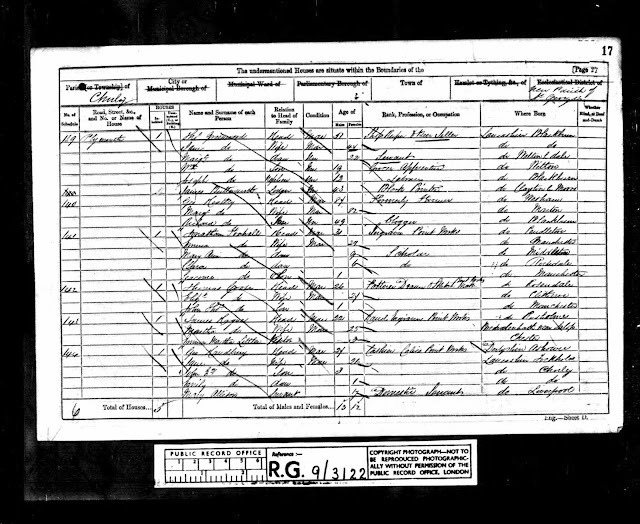 Joseph Greenwood was born in Blackburn but grew up in Chorley with his Uncle and Aunt, Thomas and Jane. Thomas was a shopkeeper and beer seller and in 1861 they were living around the Plymouth Hill area of Chorley (towards the end of Moor Road) in what we now know as the Sebastopol Inn. public House at 284, both run by Thomas Greenwood. By this time Joseph was working as labourer in the nearby Printworks in Birkacre. 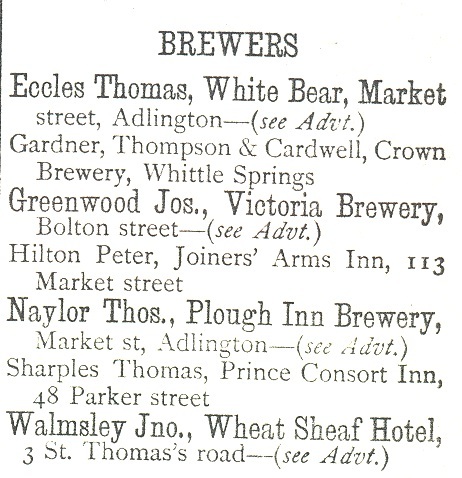 By 1881 he and Nancy were living and working at the King's Arms, 45, Bolton Street, Chorley (now Living Waters Church) and it was in the 1880's that he started the Victoria brewery. 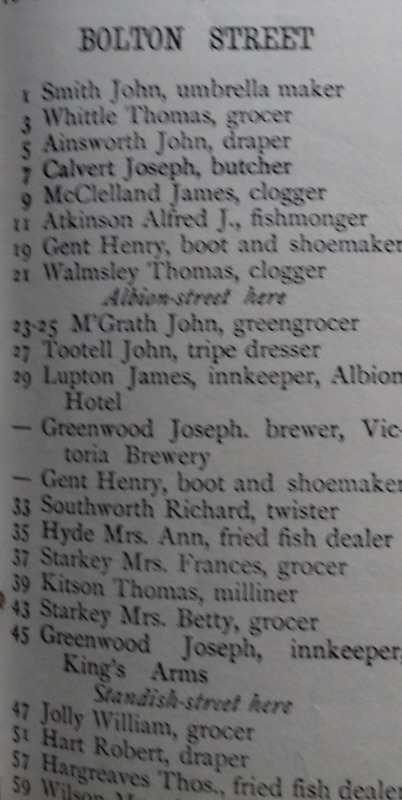 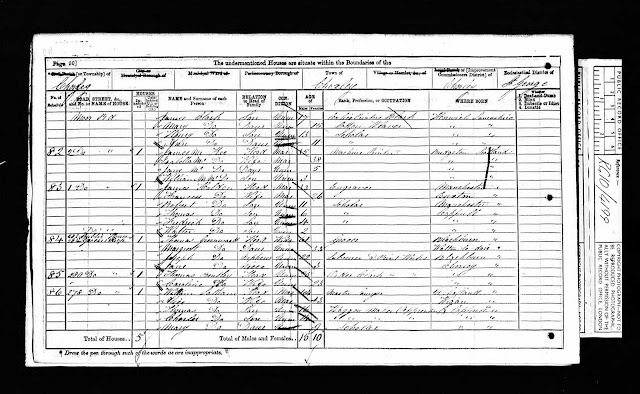 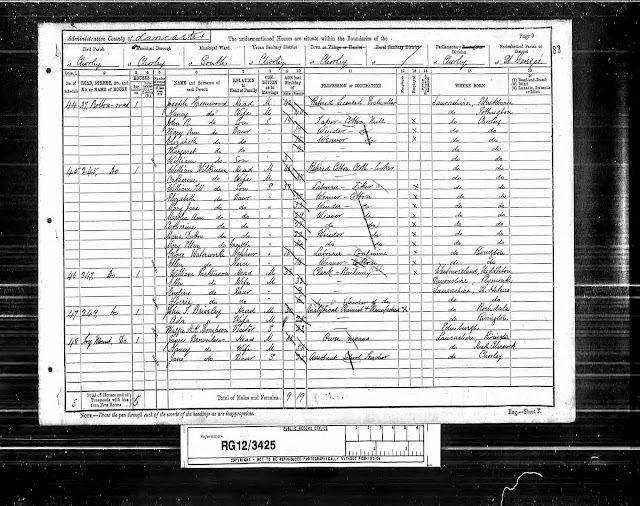 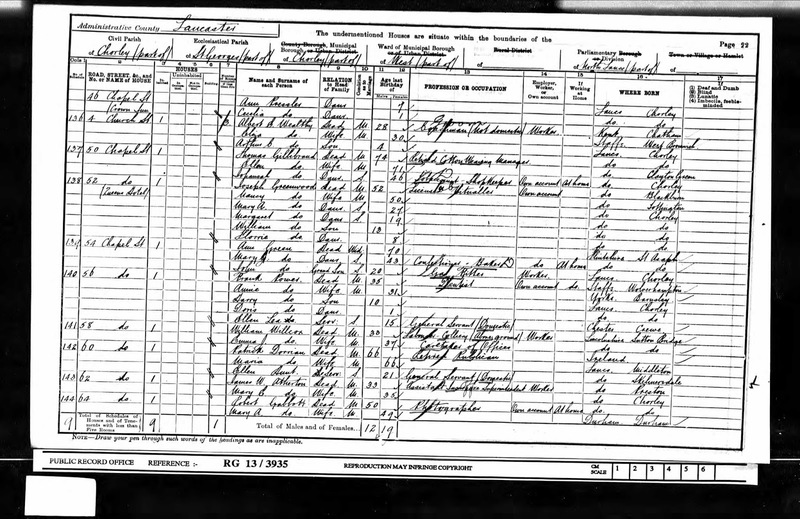 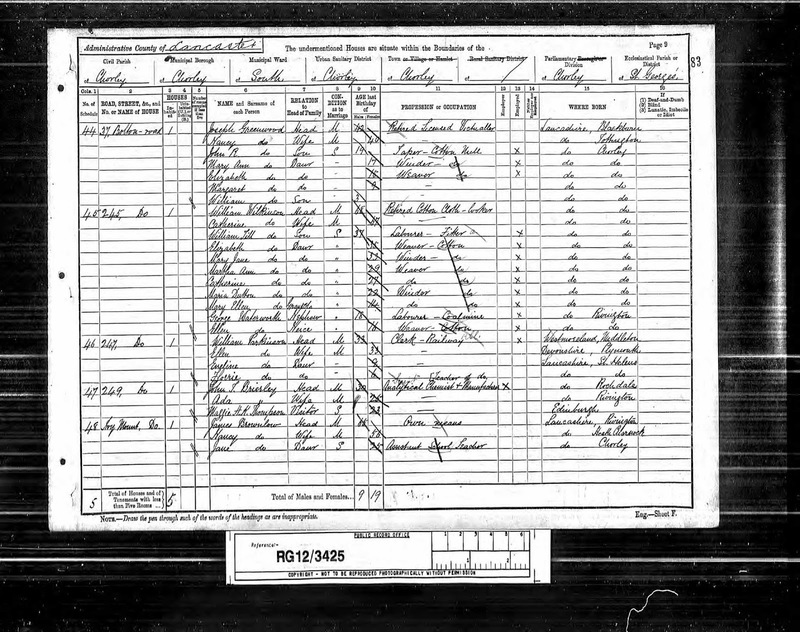 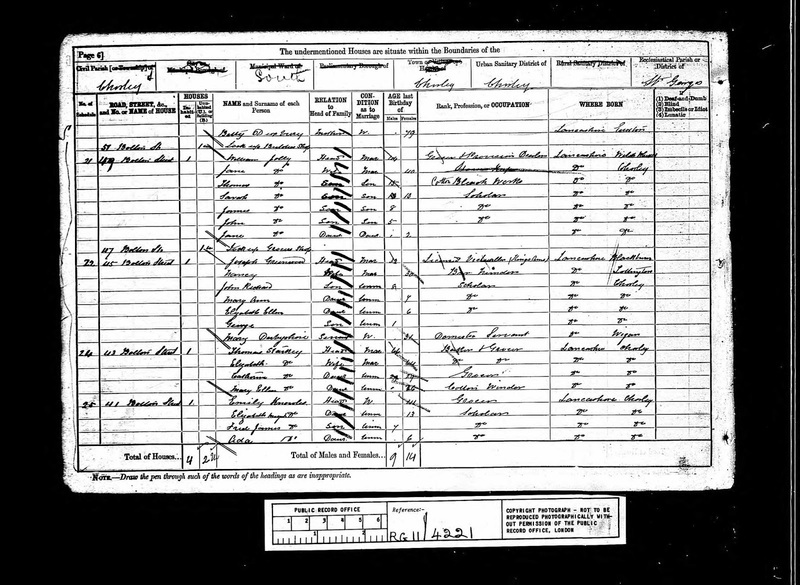 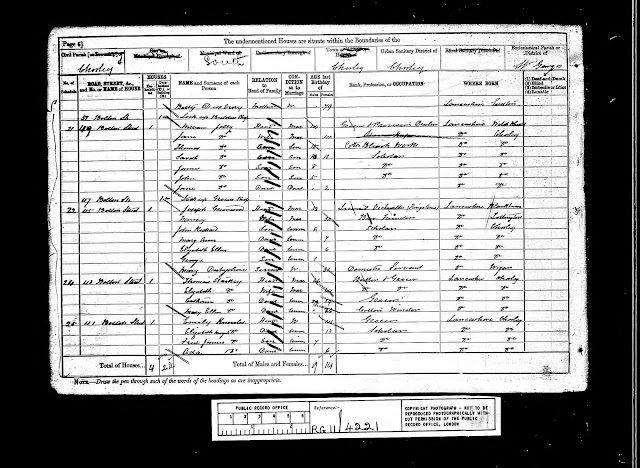 The business must have been fairly short-lived but prospered, as ten years later in the 1891 census he is shown as a retired Licensed Victualler living on Bolton Road. 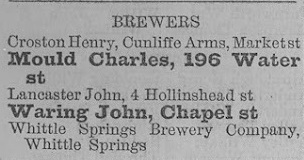 Retirement didn't suit Joseph and by 1901 they were back in business running the Queen's Hotel in Chapel Street. 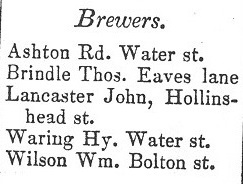 The fate of the Victoria Brewery remains unclear, but it does not appear in later directories and I can only assume it was taken over by the subsequent landlords at the Albion and run as part of the business.